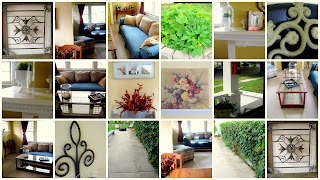 cozy home,love of family,art,mixed media,crafts of all kinds,decorating,love blogging and seeing others creativity! At the request of my youngest daughter she was getting excited to put the valentine decorations out so we got out the big red box and the excitement began! Our little one loves to decorate and has good memories already attached to everything for each of the holidays. My Mom kept so many special memories for me by making every holiday special in some way. A girlfriend and I were talking about the little Avon pins we would get when we were little for the holidays. 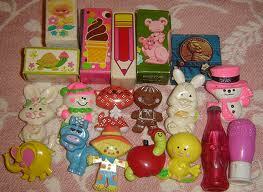 Remember the perfume pins like the little turtle, the bunny with roller skates, calico cat, I would love to get a few of these for my youngest...then I could play with them again too!! Making each occasion special is good for the soul, even if its something little, your kid's will remember. Enjoy this Valentine's Day by doing something outside the box to make it memorable. She art! having a lot of fun in this class trying new things! A few of my favorite things from my home. Our home was built in 1910, love the tall ceilings,rounded arch ways,big front porch and the old post mailbox! My coffee table made from an old door found at a Audubon garage sale, bell jar's are another favorite of mine, Gardening just a little and our monster ivy vine that took off like crazy two years ago and covered the whole fence! Most everything we have is second hand or very old and been around a while, Craig's list is my friend for sure, found many things I have refinished and reused or resold. waiting for canvas!! please come today!! Love on a Snowy day! Perfect morning! Hot chai! Snow falling,paper,paint & canvas! Loving the She art class! I have to laugh...I made this for a friend and after looking at it I realized a few obvious mistakes...but it was made with love and it was my second girl so still learning and having fun! I love Christys class she is a fun person to hangout with at your work space! Mixed media is here to stay! Loving it!! I have been having a blast with my "She Art Class" this is my first official girl..still needs my phrase added to it.. I had a bunch of tin servers I found at the thrift store that I decided to use for this girlie instead of canvas..so I will add some ribbon to hang, but I love her! I was getting excited to go to Farm chicks and it sparked this inspiration to do a girl wearing her boots and a messy bun! I Love getting my hands in the mix of many things! I would have to say that mixed media for me is what I love. I can never get enough of vintage papers,paint,doodling,texture's and putting it all together. My other favorite things are decorating,gardening and spending time with my family.Spokane Washington is my home and I love it here. Iv'e been married to a great guy for 22 years, we have two daughters and our Springer Spaniel Carter.